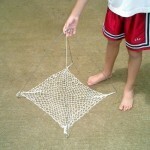 PRODUCT DESCRIPTION: Square netting held together by 4 steel rods which stand 19 inches high. The net is around 16" by 16". 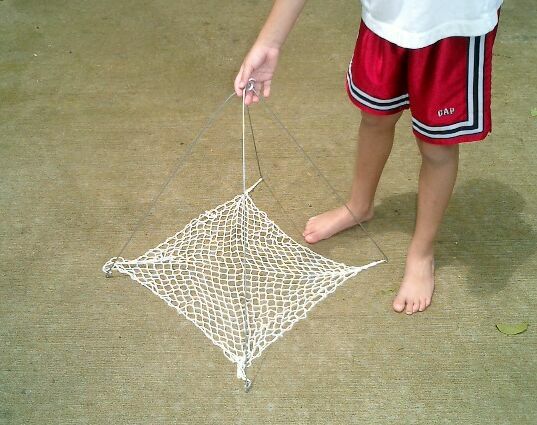 To set, just place the trap out in a pond, river or lake where crayfish are present and place some dead fish bait in the middle of the net. Connect a monofilament or twine lead to the top loop of the trap which will serve as both a trap anchor and retriever. Inspect the trap daily by pulling up the trap at which time any crayfish feeding will be caught. WHERE TO USE IT: Ponds, rivers, streams, lakes and basically any body of water which harbors a lot of crayfish which you want to remove, harvest or relocate.